With over 300 sessions and speakers to choose from over 4 days as part of the upcoming Inman Connect San Francisco event, how do you choose which ones would be best for you? Your team? Your brokerage? Your marketing? 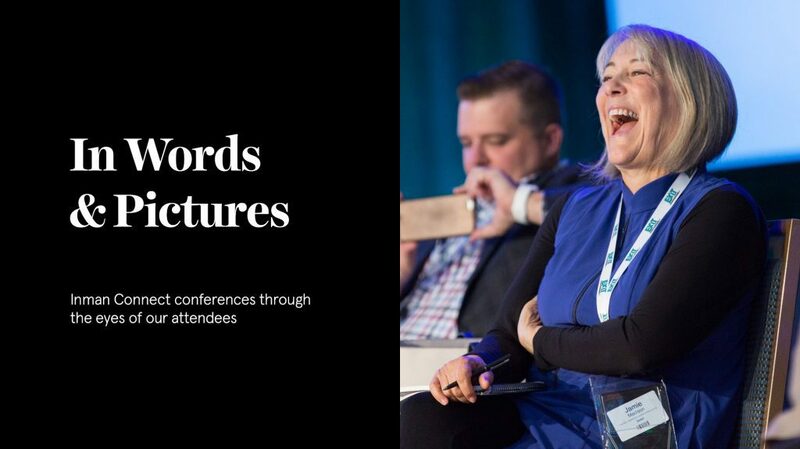 We’ve put together some handy suggestions specifically for those of you who are marketers at Connect. With an ever-changing climate of innovation and evolution, it’s never been more important to be on top of the latest trends, understand what’s working, and learn from the best in the industry. Let us be your guide through the week and help you with some recommendations for which sessions to attend in order to get the most out of your time at Connect. Putting together a killer marketing plan doesn’t have to break the bank. Learn the best free marketing tactics to help boost your business and bottom line. And with it, the role of the marketing leader. Today’s consumers expect more than an eye-catching logo. They demand an easy to navigate brand experience, personalization and an emotional connection to the companies they support. Is your marketing technology and team keeping up? Join us for the first-ever CMO Connect. Designed specifically for senior-level marketing leaders, we will dive deep into the topics that matter to you. Get ready to have your most closely held beliefs about marketing challenged as “The Ad Contrarian” and best-selling author Bob Hoffman explains how marketers and advertisers have lost touch with consumers — and what can be done about it. What Can We Learn About Storytelling from Buzz Lightyear and Mr. Potato Head? Learn from master storyteller Matthew Luhn, formerly with Pixar, about the essential components of an effective story in this workshop focused session and find out if your brand’s story is hitting the mark. Get one-on-one time with the industry titans, the doers and the influencers. Ask them whatever you want and get guidance, advice and counsel. Good design can be an equalizing force. Find out what happens when you approach design as a collaborative, dignified and empathic process. Tips, strategies and best practices for agents and brokers to maximize the effort they are putting into Facebook to attract and generate business in 2018 and beyond. In the new fast paced world of real estate we are becoming increasingly focused on the tasks at hand. The hustle of the market has created a tunnel vision related to the current transaction, leaving little room for a great customer experience. This class will focus on the lifetime value of a client and how to create a customer experience that will create advocates for your business. We will discuss strategies, ideas and actions related to the experience of the transaction that will leave the lasting impression you need for a lifetime of referral business. Everyone knows culture is important. Hear from Peter Jonas, West Region President at Compass on how to build and maintain culture during growth. Getting better at business or at life often means finding perspective and commonality with others. Listen and learn how to find more joy in your day-to-day and see how connected you really are to those around you. A decorated soldier, a best selling author, a political activist and so much more, your heart will stop, listening to this renaissance man. His new venture is the biggest challenge of his career, bringing reasonable people to participate in the political process. Visual communication is changing the way we connect with others, including our customers. Get ready to open your mind to a new way of living and doing business. After the session is over, the Marketing Track will wrap with special opportunities for attendees to continue the conversation, network and share. Book your afternoon at the Marketing Track, bring your burning questions, find your tribe and get ready to learn more than you could have ever imagined from experts and peers. We’ll kick off this session with a 15 minute presentation on best practices for handling real estate finances and then open it up to the audience. Bring any and all of your questions and business challenges relating to the topic of marketing and get specific answers from a qualified real estate coach.